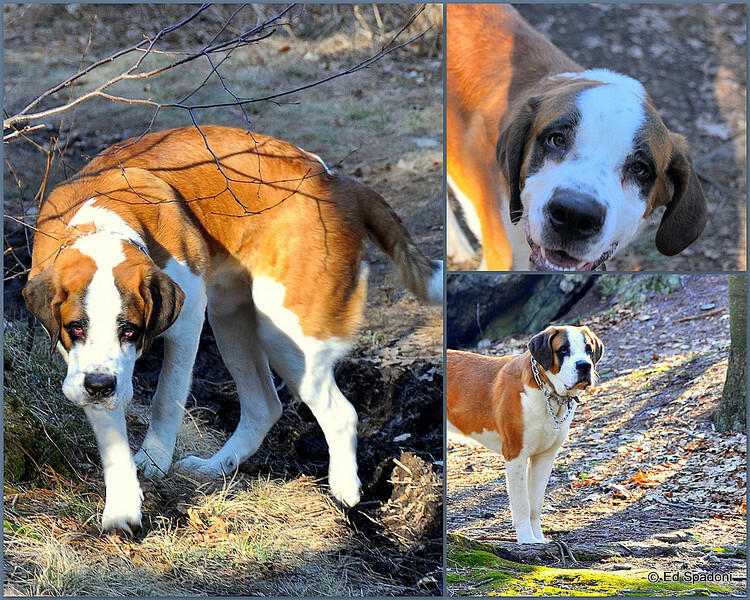 I met Lappa (Russian for "big feet") during a short walk at a nearby park yesterday. His owner Alexander told me that Lappa is "a rambunctious, teen-aged Saint Bernard", and he was so right. A beautiful dog, he was bursting with energy, and had no trouble leaping such that he and I were eye to eye (I'm 6'2"!). Alexander was camera-shy but as you can see, Lappa was not. Aww so adorable! Nice shot! what a beautiful dog, and picture, the light is amazing and the colors are great. Nice job. Awwww, teenage giant breed -- always a trip! Wonderful shots. Before Gracey, I always had great danes, and a teenage great dane is a handful too. Love the collage. You can see quite a bit of his personality :) Excellent shots.